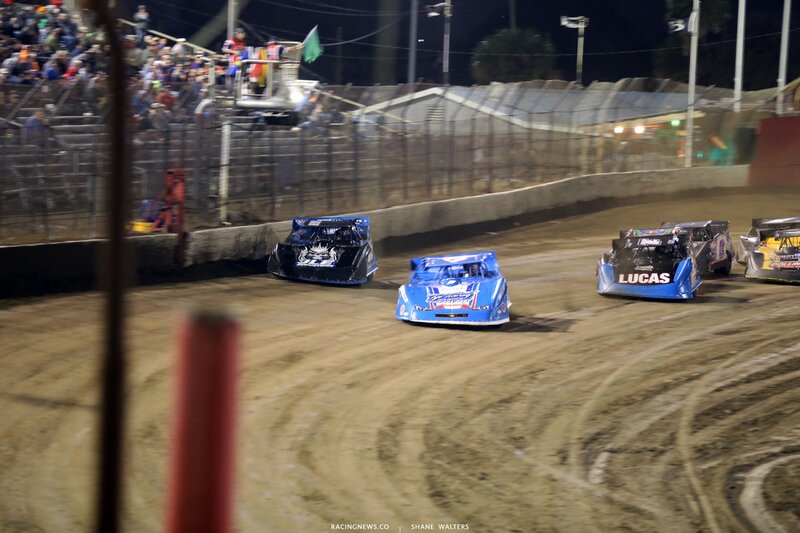 It’s the second stop for the Lucas Oil Late Model Dirt Series. 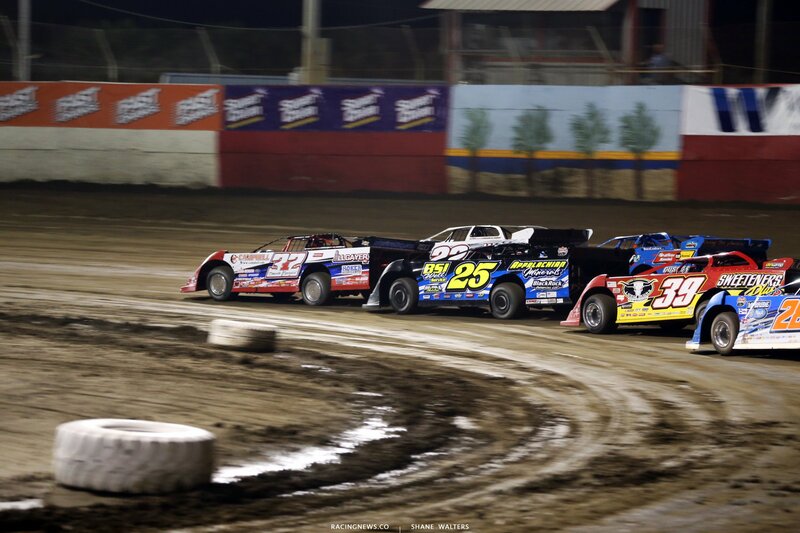 The national dirt late model series unloads for a full night of racing. Kyle Bronson and Tyler Erb lead the field to green in the first heat of the night. Green, even into turn 1. 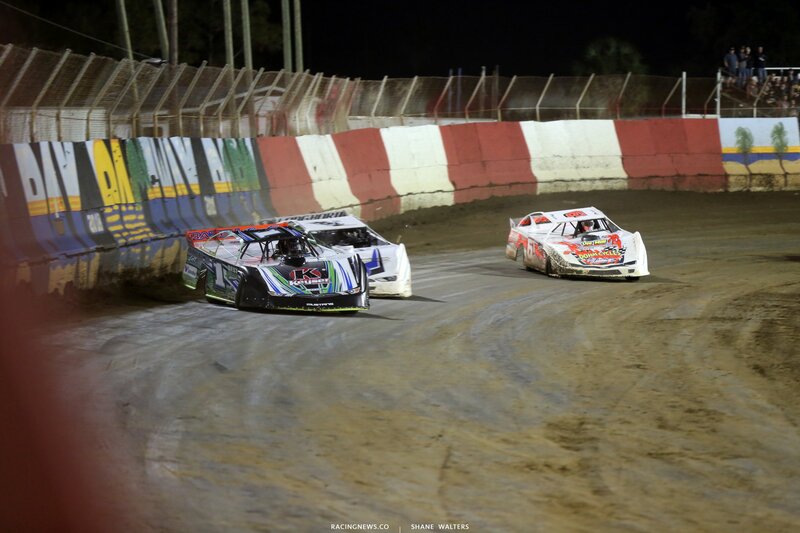 They run side by side for the lead for several laps. Lap 3, Tyler Erb dives deep into turn 1. He slides up the hill and catches the banking. Tyler Erb takes the lead, slides just ahead of the nose of Bronson. Lap 5, Bronson drives it deep into turn 3. They run even through 3-4. Bronson gets the drive off on the bottom. He wins the race off the corner. Kyle Bronson, the hometown driver, wins heat race number 1. Devin Moran and Mason Zeigler trail the pace truck ahead of heat 2. Green, Zeigler gets the jump. But, Moran wins the race to turn 1. I think Zeigler checked up not to beat Moran to the line. Zeigler loses a spot to Earl Pearson Jr. Caution is out, car stopped on the front stretch. Green, Moran checks out early. He wins heat 2. Josh Richards and Tim Dohm set row 1. Green, Richards leads into turn 1. Dohm slips and Davenport is through. Davenport is trying to chase down Richards. He’s exploring lanes right now but Dohm is coming back on the charge. Jason Jameson spins off turn 4. Just a few laps remained and Richards was leading by 3 car lengths. Green, caution. 1 lap shootout for the win. Green, Richards has open up a gap. Davenport tries the outside in turn 4. He comes off the corner with 10 mph more than Richards. Josh Richards wins heat 3. Bobby Pierce and Greg Oakes set the front row in the final heat of the night. Green, Pierce to the lead in turn 1. Two cars rub fenders on row two. McCreadie jumps from 5th to 3rd in turn 1. Billy Moyer Jr is coming. He started 6th. He’s up to 3rd, 2nd. Billy Moyer Jr is running down Bobby Pierce. But he’s going to run out of time. Bobby Pierce wins the 4th and final heat race. Gregg Satterlee wins B Main number one. Scott Bloomquist wins B Main number two. Kyle Bronson and Josh Richards will lead them to the start of tonights main event. 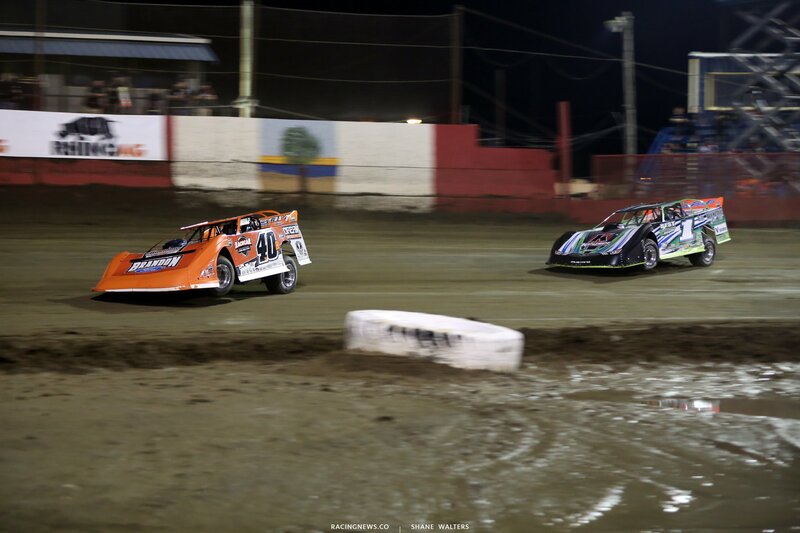 The 30 lap main event will pay $5,000 to the winner. Green flag, some games are played at the line. Bronson gets the jump. The outside lane stalls and Richards falls to 3rd in turn 1. Devin Moran is coming for the leader. He’s there, Moran to the lead. Bronson falls in behind him. The top 5 is glued to the bottom. 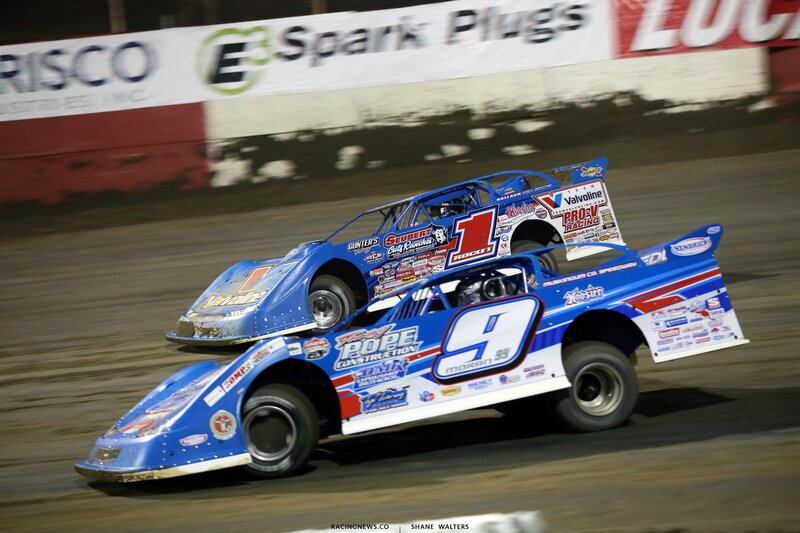 Tyler Erb and Bobby Pierce are trying to make the top work, just outside the top 5. Lap 6, caution is out. Brian Shirley is slow on track. Green, Richards is through to 2nd. Bronson hits the cushion in turn 4. He jumps it and smacks the wall on the exit. Bronson is trying to get back to the bottom, he slots in ahead of Davenport in turn 3 for 8th. Josh Richards is coming. He’s making the top work. He’s around. Richards is now clear by 8 to Moran. Lap 14, caution is out. Tim Dohm is stopped in turn 2. Green, Moran looks for a way around Richards. Brandon Sheppard is there at the same time. Richards drives it deep into turn 1. He’s clear by 5, they went in even. Moran dives it in hard on the bottom in turn 3, it’s a slider. He drifts all the way to the wall, the tires are burning at the exit. He slows down Richards who’s stuck behind him as he spins the tires. Richards turns it off the banking to cut under Moran on the exit. Sheppard is clicking around the bottom. They come off turn 4, three wide. Richards dives it in deep but Sheppard has him off the exit of turn 2. Richards is falling through the field. Moran is putting pressure on Sheppard for the lead. He’s there in turn 3. Moran to the lead! Davenport is coming for all of them. He’s found speed at the top. He’s closing on Moran. Davenport cuts to the bottom. Sheppard is already there. No contact but Davenport has to bail on his lane selection and drift up the banking. Sheppard is clear of Davenport. He jumps to the top and sets sights on Moran. Davenport begins to lose the tracks on the leaders. The bottom lane is packed with lap cars. Moran is all over the back of the train. He needs to get around Satterlee. Sheppard has found speed on the top. 1 to go, Moran is boxed in behind Satterlee. Sheppard has open track ahead on the top. They are even in turn 3-4. 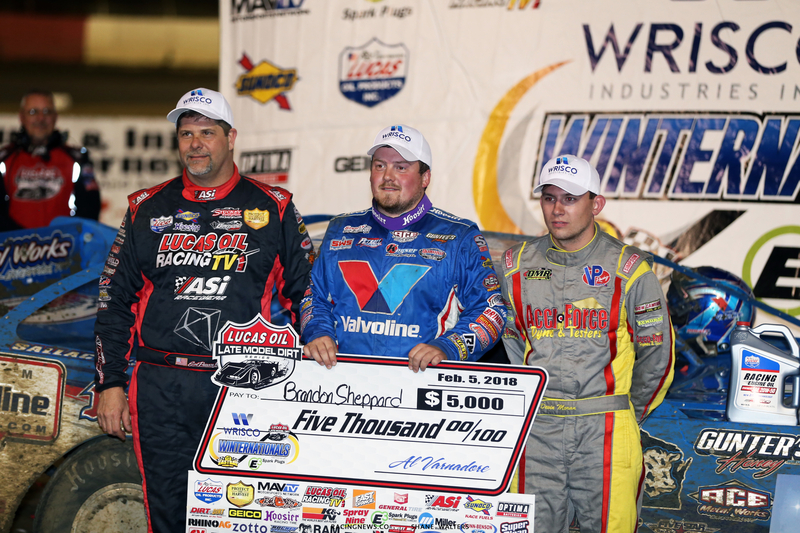 Sheppard carries momentum off the top of the track. He nips Moran at the line! 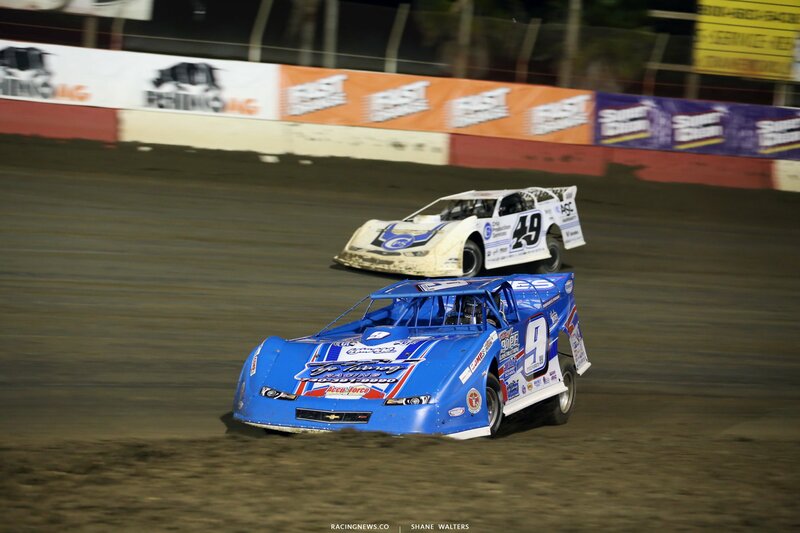 Brandon Sheppard wins night 1 at East Bay Raceway Park! Tomorrow night, they’ll reset the field do it all over again. They’ll be here all week. 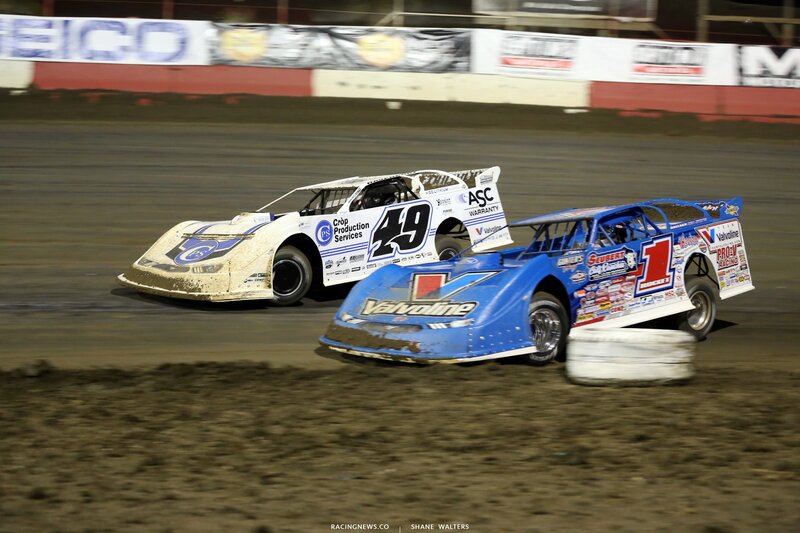 Night 2 of 6 from East Bay Raceway Park resumes on Tuesday. 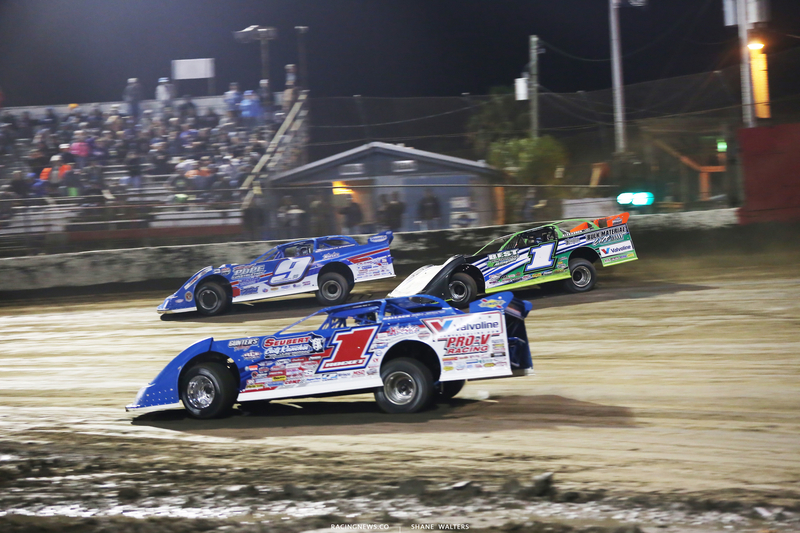 On Sunday, the tour heads north for Bubba Raceway Park.